Track U.S. savings bonds in several different ways. 2. How do I Calculate Interest on EE Savings Bonds? 3. How do I Find Out the Value of a U.S. Savings Bond? The United States Treasury Direct gives consumers a safe and effective way to invest with the purchase of savings bonds. 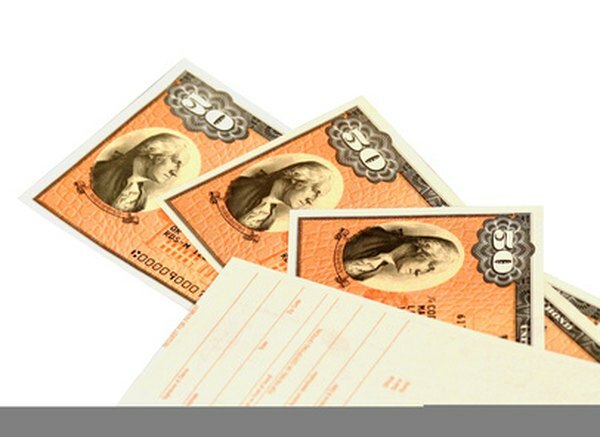 The Treasury Direct no longer issues paper savings bonds, instituting a changeover to digital bonds in 2012. Tracking the value of U.S. savings bonds can be both informative and exciting as you watch the value of your investment grow. The method for finding the value depends on whether you’re tracking paper or digital bonds. Visit the Treasury Direct website to check tables that list the value of your paper or digital savings bond. Use the most current table to match the current date. Find the issue year and month of your bond first. Follow the columns across the table to find the redemption value of the bond and the interest earned to calculate the value of your bond. Calculate the value of a paper U.S. savings bond using the Treasury Direct calculator. Enter the date you want to use for figuring the value in the appropriate field of the tool. Choose the applicable bond series and the denomination of the bond. Enter the bond serial number and the issue date. Click the “calculate” button and check the results. Visit the Treasury Direct website. Enter your account credentials to log in to your Treasury Direct account to track the value of a digital U.S. savings bond. Select the bond that you wish to check and note the current value of the bond.